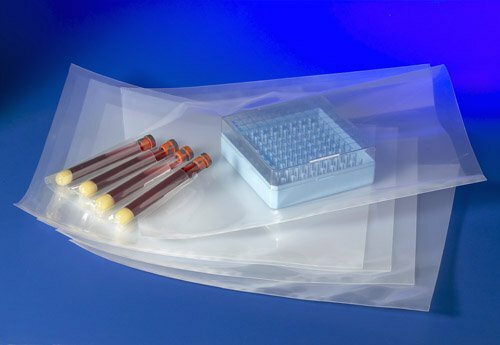 Extra Packaging offers flexible packaging solutions for a variety of commercial, industrial and medicinal needs. 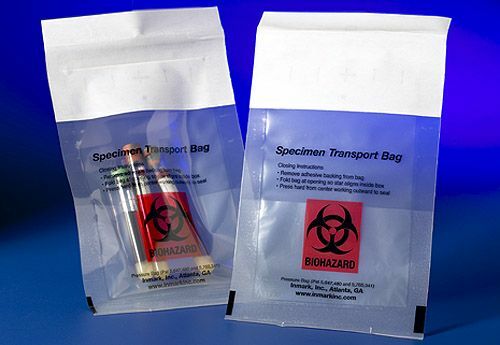 Our bio hazard bags meet government packaging specifications and can be used for the storage and shipment of biohazardous materials, bulk specimens and cryo-boxes. We offer both low pressure bags and high pressure bags that meet internal pressure test requirements for DOT, ICAO and IATA. Perfect for clinical trials. Extra Packaging is a leading military packaging supplier and an experienced provider of disaster preparedness supplies. We are also a leading supplier of body bags and pouches for human remains transport, as well as glove bags for asbestos abatement from pipe. For samples or further information about our products, please call us toll free at 888-353-9732. These polyethylene bags are tamper evident and are liquid tight up to a pressure of 95 kPa and are designed for dangerous goods. Bags contain screened BioHazard marking. Secondary packaging for the transport of biological substances, category B, sampled according to IATA Packaging Instruction 650. In accordance with the IATA Dangerous Goods Regulations, primary receptacles or secondary packaging used for liquid biological substances category B must be capable of withstanding, without leakage, an internal pressure which produces a pressure differential of not less than 95 kPa in the range of -40�C to +55�C. The test is effectuated at both temperatures on three samples. The samples are filled with air at +55�C and -40�C. An addition of air is supplied through a connection under a pressure of 95 kPa. This pressure is maintained for at least 10 min. The receptacles are verified for leakage. The samples are capable of withstanding, without leakage, an internal pressure which produces a pressure differential of not less than 95 kPa (0,95 bar, 13,8 lb/in2) in the range of -40�C to +55�C. None of the specimens were leaking after 10 min. of pressure testing with a pressure differential of 95 kPa.